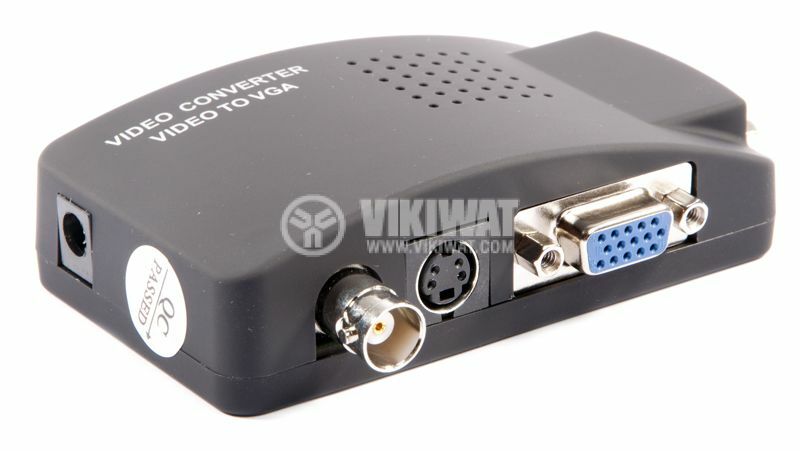 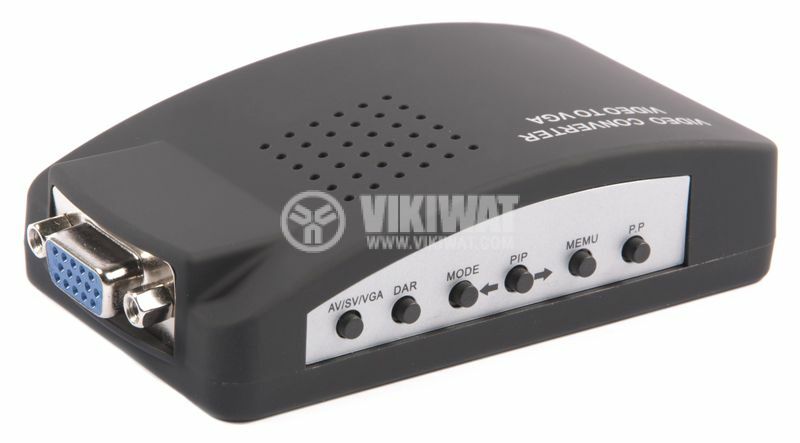 Video Converter (BNC) Video and S-Video to VGA. 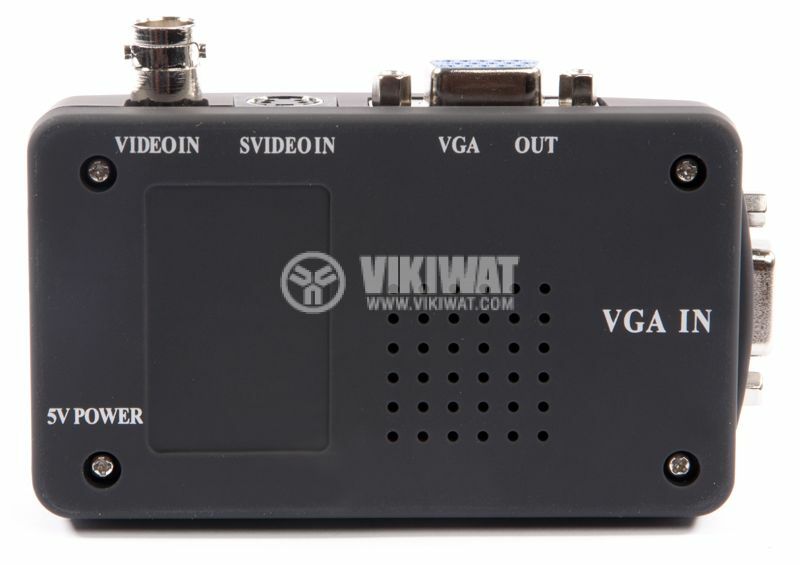 For transferring audio and video signals from laptops, PCs, DVDs, STBs, CDs to LCD monitors. 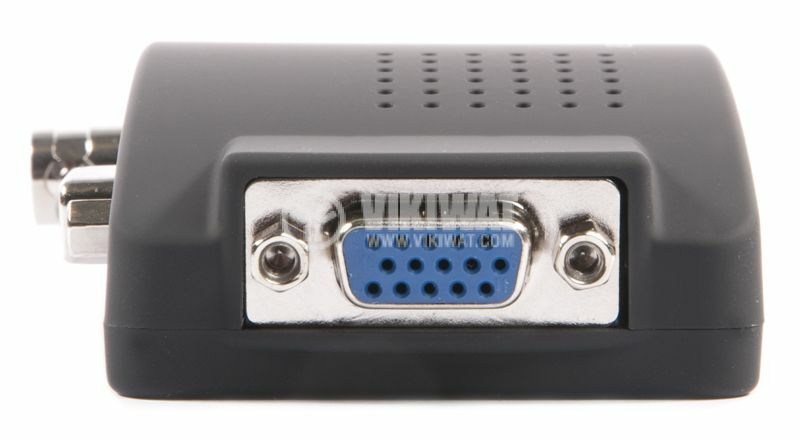 overall dimensions (D / W / W) - 110 x 36 x 56 mm.